Welcome to one of the most exciting destinations in Virginia. Recently named one of “Best Small Towns in America,” Staunton is buzzing with arts and culture offerings. Downtown Staunton is known for its compact Victorian downtown and shops that are not only fun, but packed with items you’ll find nowhere else. Staunton's “Red Brick District” offers a wide range of art and the arts experiences. Museums dot the entire area and many area attractions offer a 20% admission discount to festival attendees. 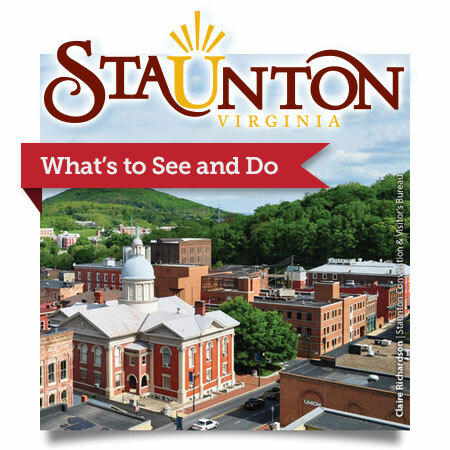 Learn more about Staunton, VA at VisitStaunton.com, or simply click the "Staunton: What’s to see and do” banner to the right to view the comprehensive Visitor’s Guide to Staunton, published in 2014. Festival Deals Just for You! Festival attendees with wristbands will enjoy 20% off admission to the following Staunton attractions. 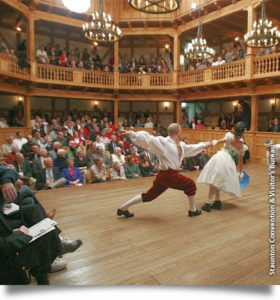 Staunton's internationally-famous Blackfriars Theater, the world's only recreation of Shakespeare's indoor venue, offers incredible presentations — and offers 20% off ticket prices to Bike Festival participants. Woodrow Wilson, the 28th President of the United States, was born in this Presbyterian Manse on December 28, 1856. 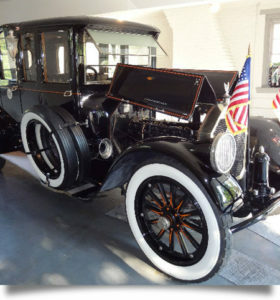 Visit Virginia's only Presidential Library and show your wristband to receive 20% discount off your admission. 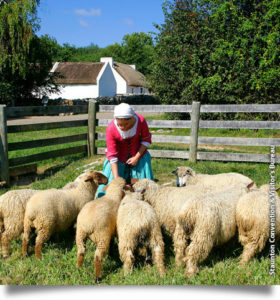 The Frontier Culture Museum lets you explore rural life of 170 years ago through recreated farms depicting how settlers of German, English, Irish, Early American and African ancestry may have lived. Festival attendees receive a 20% discount on admission with wristband. As you explore downtown Staunton, you’ll find a number of restaurants and retailers sporting the yellow sign below. It’s your signal that people wearing Festival wristbands will find an extra deal or discount inside. Come downtown and see what‘s in store for you! These attractions are just a few minutes away by car — and well worth the trip! 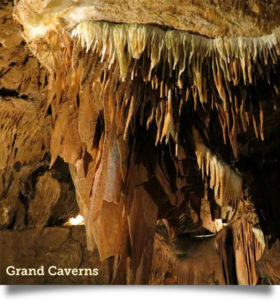 Open to the public since 1806, Grand Caverns is America's oldest show cave. All cyclists will receive a discounted admission by showing your Festival wristband. The legendary Skyline Drive (part of the Blue Ridge Parkway, often both crossing and paralleling the Appalachian Trail) is just minutes away, offering unprecedented views of the Blue Ridge mountains — whether by car or by bike! 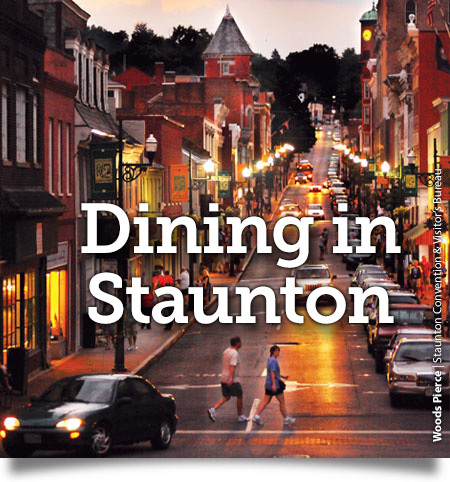 Experience a wide array of dishes while dining in Staunton. From casual to elegant, we have it all! Choose from traditional fare to more exotic meals all within walking distance of downtown. Whether you're in the mood for something classic or crave something a bit more contemporary, your culinary palate will sure to be appeased. A fun selection of wine bars, coffee houses, vineyard tasting rooms and small-batch breweries round out the local flavor. Check out all the choices. Ding, ding, ding goes the 25-cent trolley through downtown Staunton!